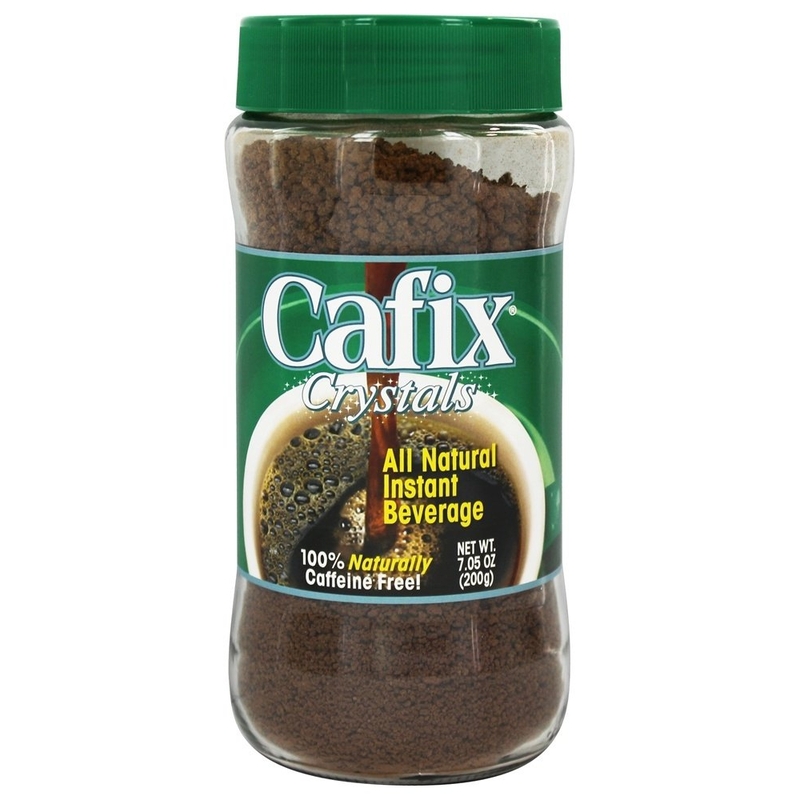 Cafix All Natural Instant Beverage Crystals are a 100% naturally caffeine free coffee substitute. Cafix Crystals offer a rich, robust taste yet none of the caffeine or acidity found in coffee or tea. Unlike decaffeinated beverages, Cafix Crystals do not undergo additional processing due to the naturally caffeine free ingredients. 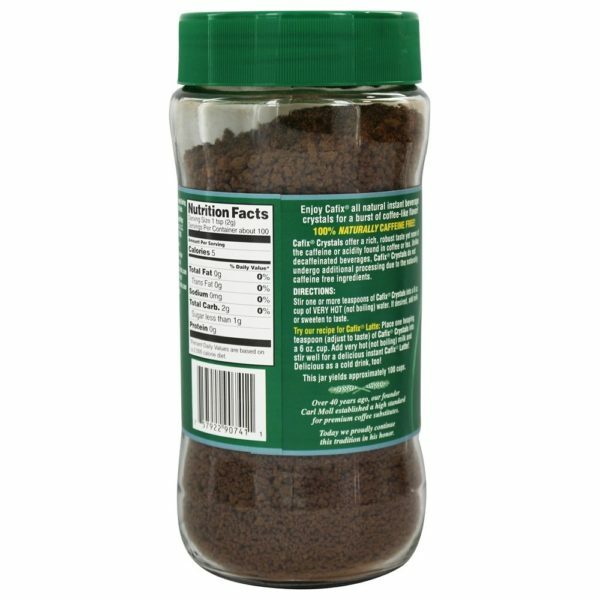 Cafix All Natural Instant Beverage Crystals are a 100% naturally caffeine free coffee substitute. Cafix Crystals offer a rich, robust taste yet none of the caffeine or acidity found in coffee or tea. Unlike decaffeinated beverages, Cafix Crystals do not undergo additional processing due to the naturally caffeine free ingredients. Ingredients: Roasted Barley, Rye, Chicory, Sugar Beets.